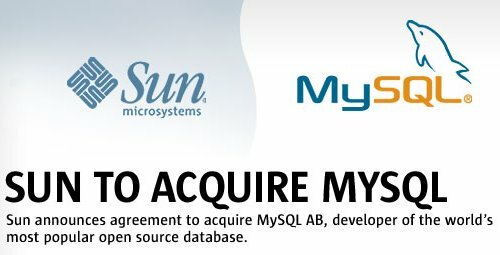 I don't think there's much to say about this, other than I hope Sun doesn't Cobalt-ize MySQL. Who knows, if Sun plays their cards right, we may finally have a really competitor for Oracle, and a huge cash cow for Sun. Maybe this will send Sun's shares in the right direction. Check out the press release and Jonathan Schwartz's blog.